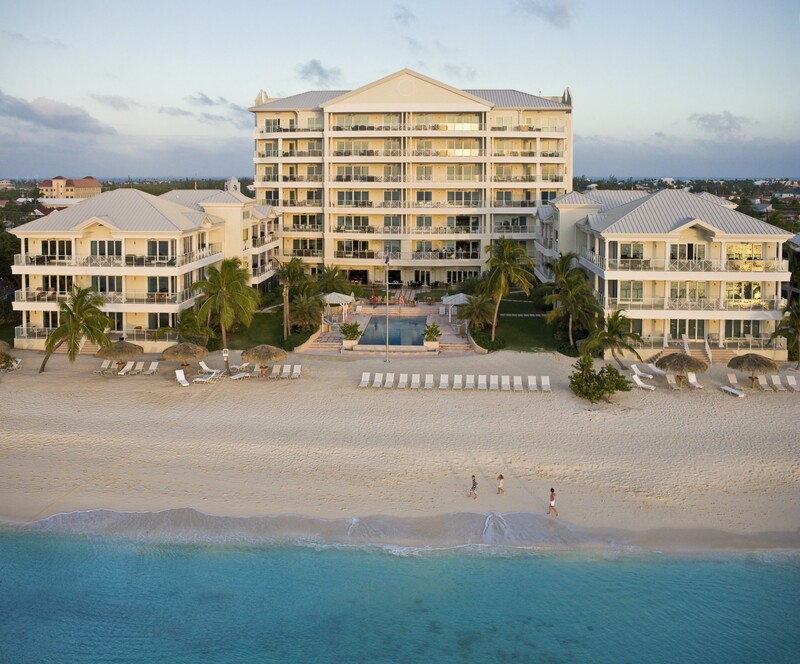 Welcome to the Caribbean Club, a luxurious and exclusive beachfront paradise located directly on the famous Seven Mile Beach in Grand Cayman. 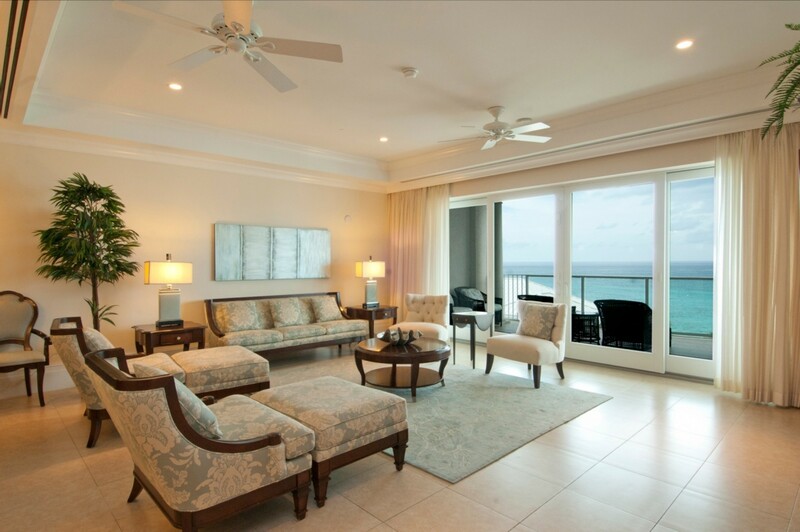 Our 3 bedroom Tower Oceanfront Suites are located in the central tower at the resort and has 7 floors with magnificent views of the pool and beach from each floor. 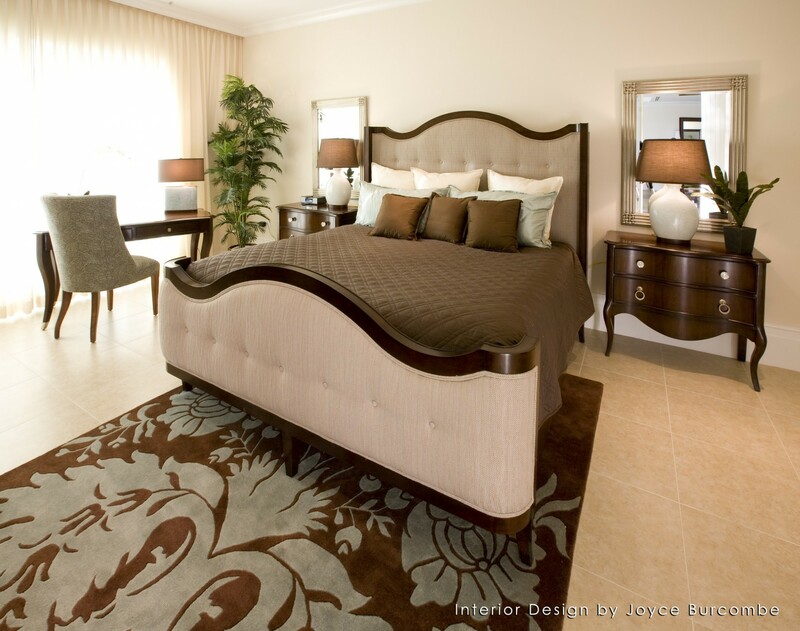 The luxury units are located between the 2nd and 7th floor. 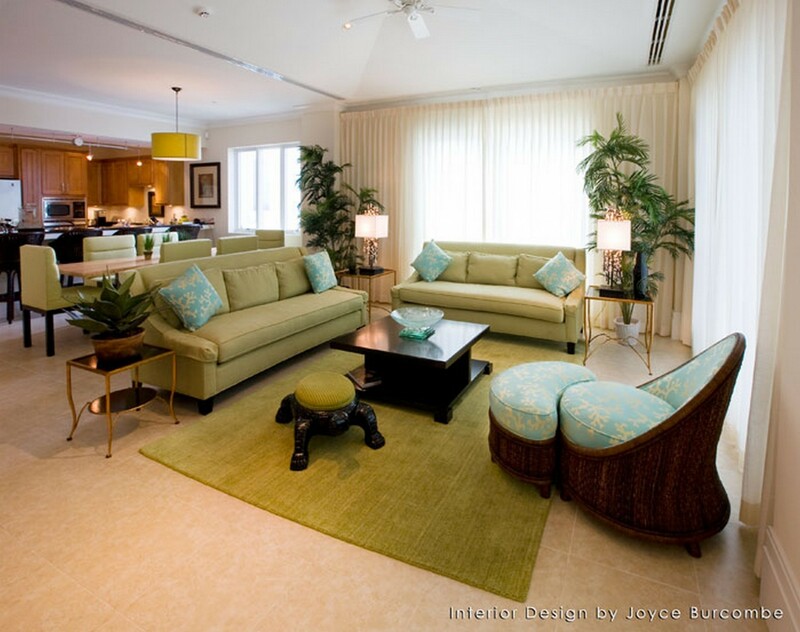 These villas offer a wonderful open plan and the decor combines exquisite luxury and Cayman comfort all at once. 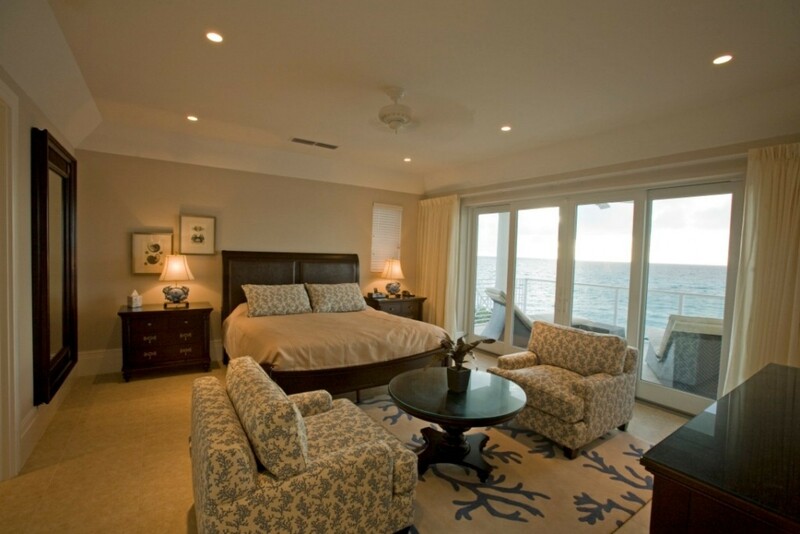 The Caribbean Clubs Villas are the most luxurious, exclusive and glamorous accommodations on Grand Cayman. 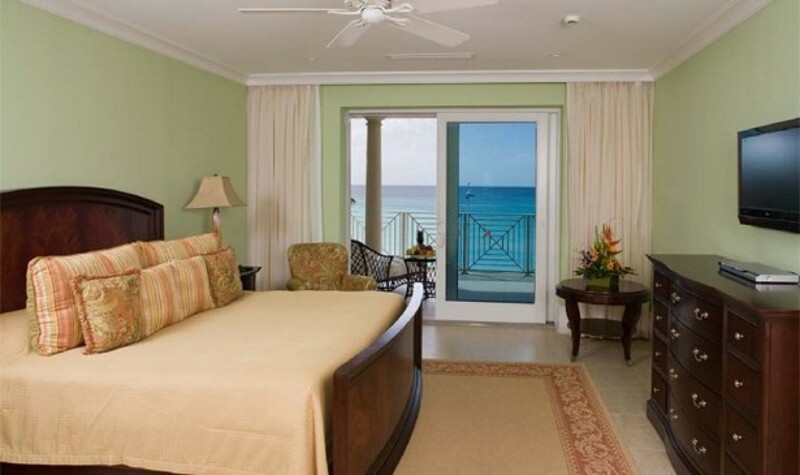 The villas and suites are all just a few feet away from the vibrant turquoise waters of SMB with beautiful tropical ocean views. 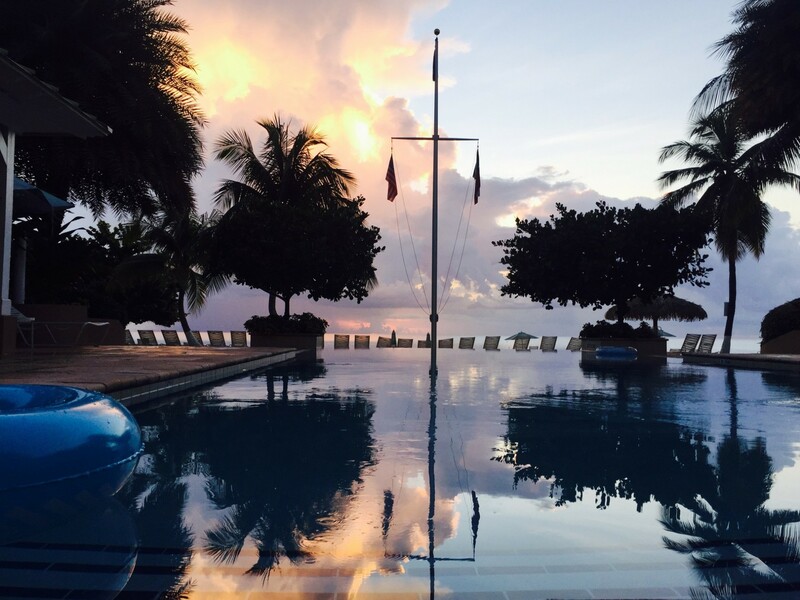 The Caribbean Club offers guests the best of both worlds with the luxury of having your own private villa while also availing of all the wonderful amenities. 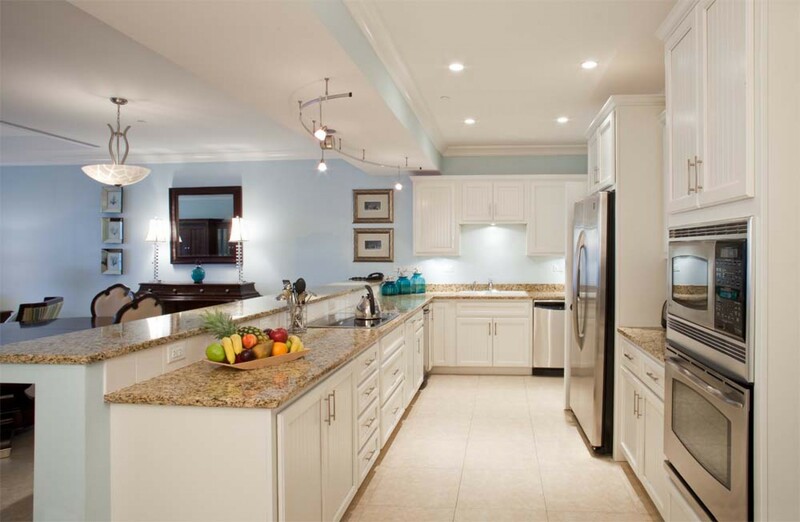 Every kitchen at the tower ocean front suites have beautiful granite tops, modern fixings and appliances and is fully stocked with utensils. 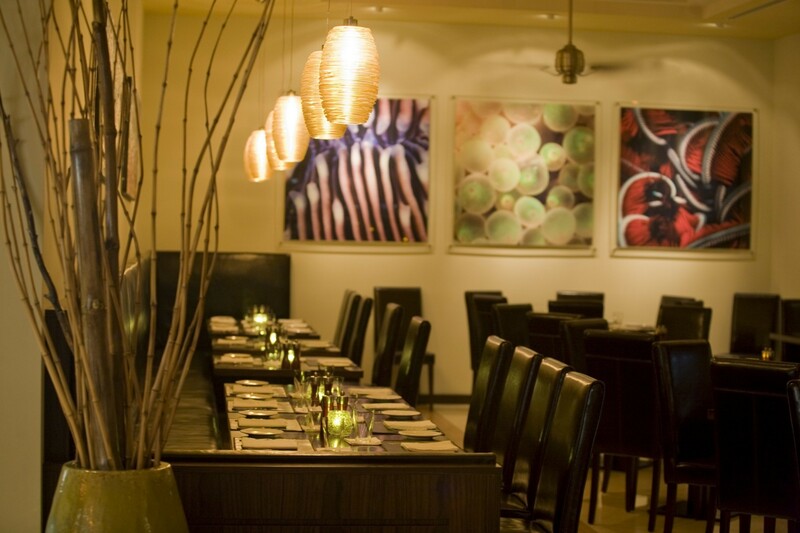 All suites offer beautiful dining areas for an intimate meal prepared in the gourmet kitchen or delivered from LUCA. All suites also conveniently have washers and dryers, or our housekeeping staff is available to take care of your laundry. Every master bathroom has a large and luxurious Jacuzzi tub and separate shower. 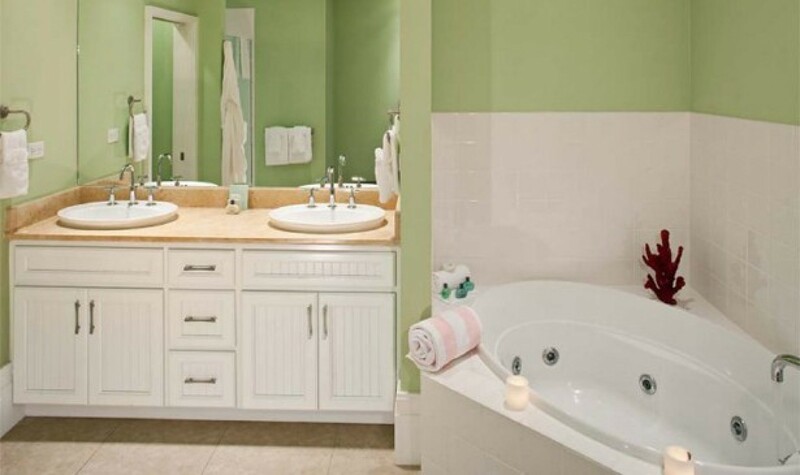 Each bathroom is lined in exquisite marble counter tops and modern fixings. They are the essence of luxury. The other two bathrooms are split between the bedrooms with one bathroom connecting from the hallway and the bedroom. 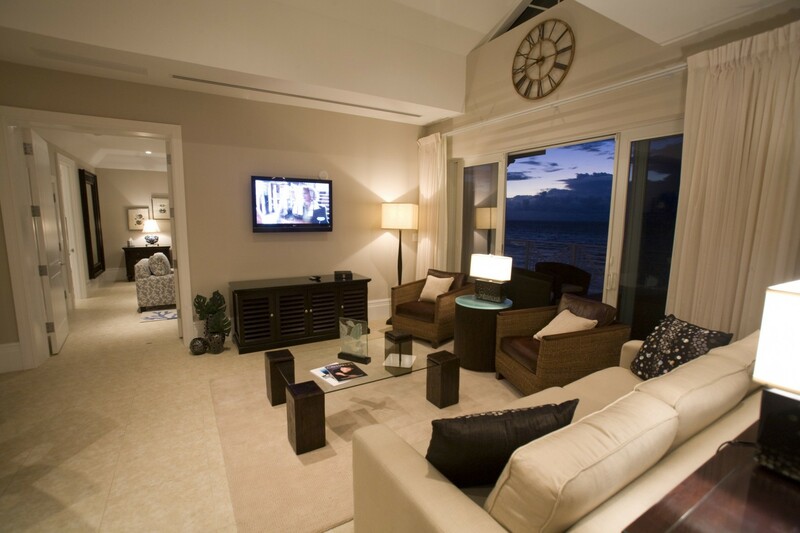 Each villa has flat screen televisions, hair dryers, plush robes and slippers to make our guest’s stay more luxurious. 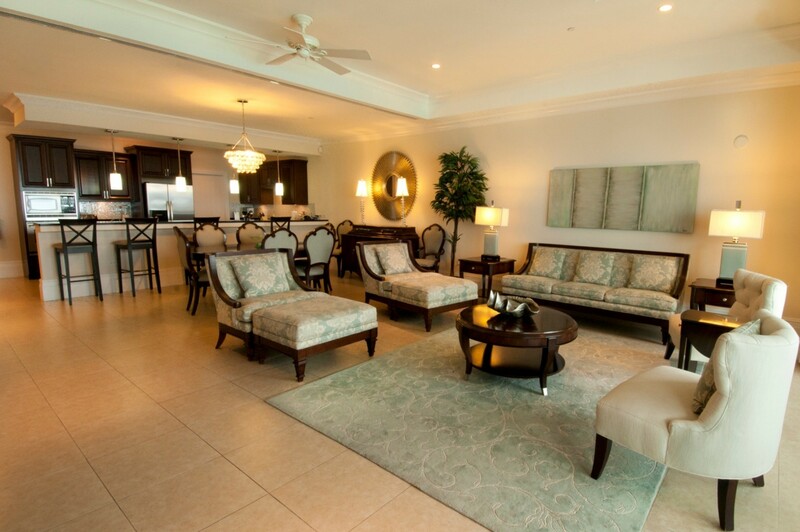 Large open spaces and exquisite decor make the Caribbean Clubs villas great for a one of a kind stay. 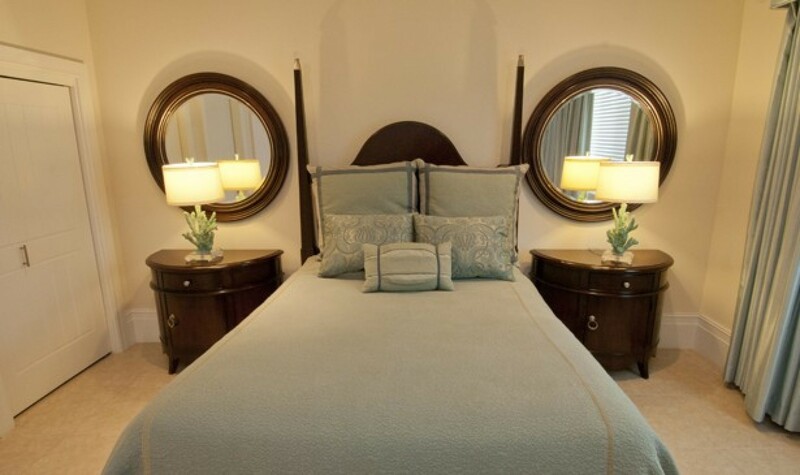 There is space for families or friends to relax without feeling cramped. Spectacular up close views of the crystalline waters can be seen from every private balcony and is ready for guests to sit and enjoy the sunset. 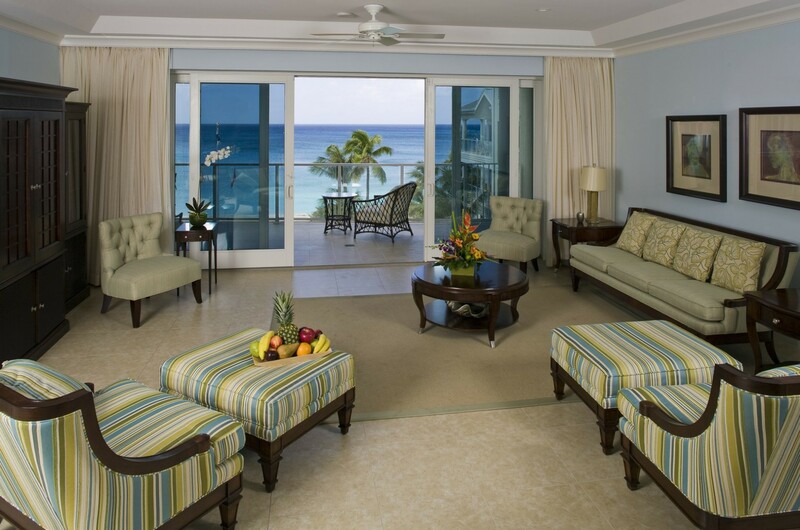 The balconies are beautifully furnished with breakfast tables and comfortable lounge chairs. Our state of the art Boardroom is located on the ground floor adjacent to the Front Desk and is designed to hold Board meetings for up to 18 people. Catering is available through LUCA. Our fitness center is located on the 8th floor of the tower building offering breath taking views of the North Sound. 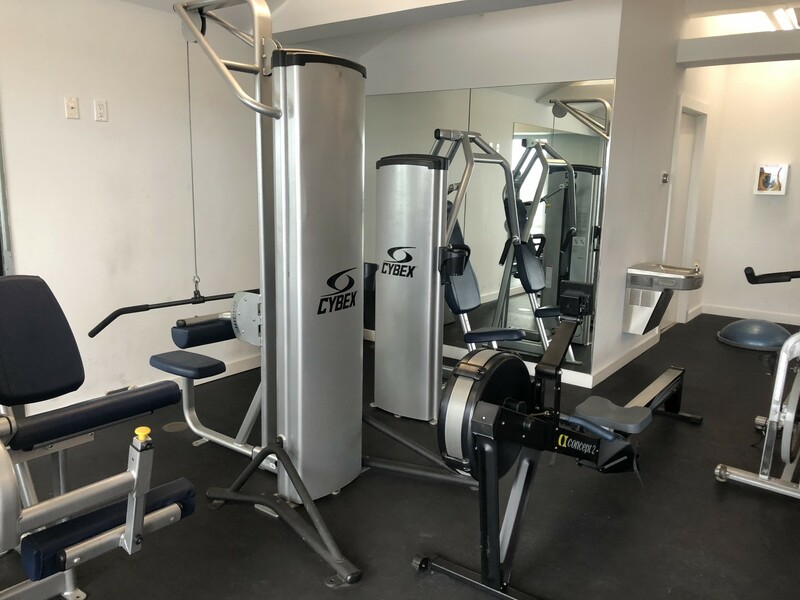 Equipped with weight and cardio equipment. Housekeeping and turn-down services are giving daily. We also provide laundry service and can send out dry-cleaning. 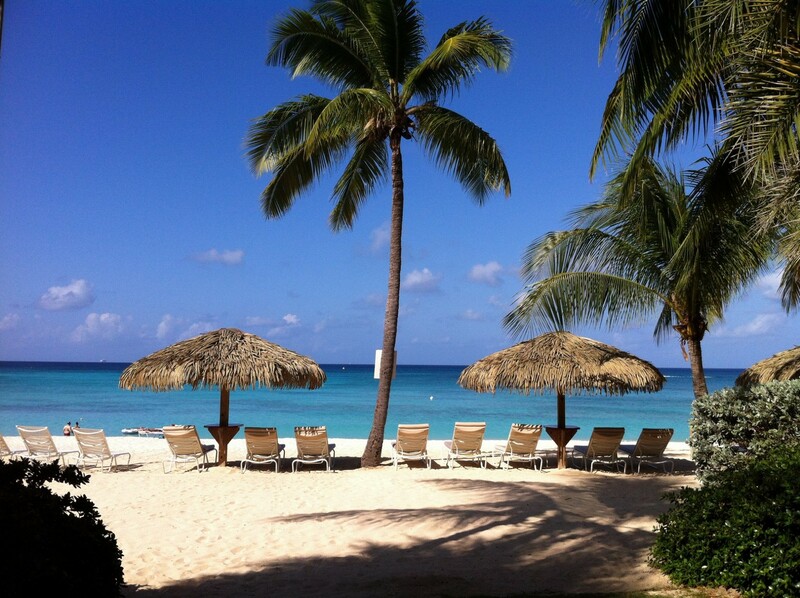 Oceanfront Cabanas are available free of charge on the resort’s beautiful beach. 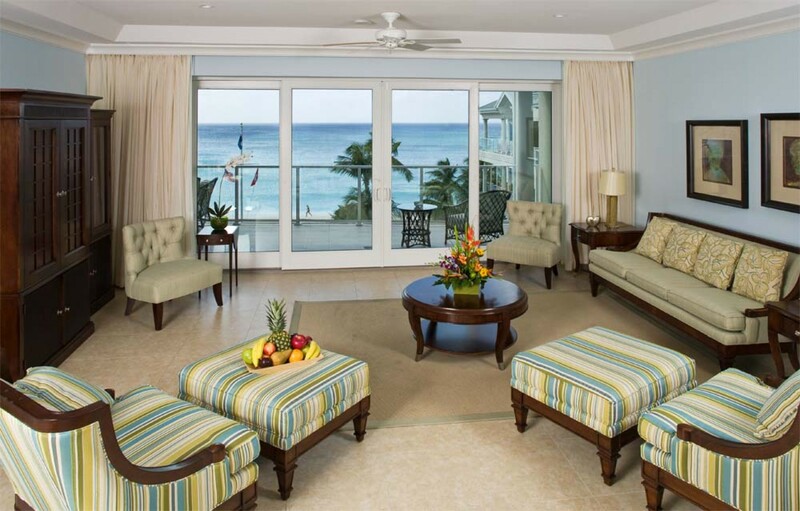 Lounge chairs, cushions and chair covers all add to the luxury that makes our beach the most relaxing and crowd free. Free underground parking with card-access. Elevators located underground can take guests straight to their suite. Our concierge staff is fully prepared to assist with reservations/bookings or to answer any inquiries guests may have. They are knowledgeable and friendly and will be happy to assist with any requests. 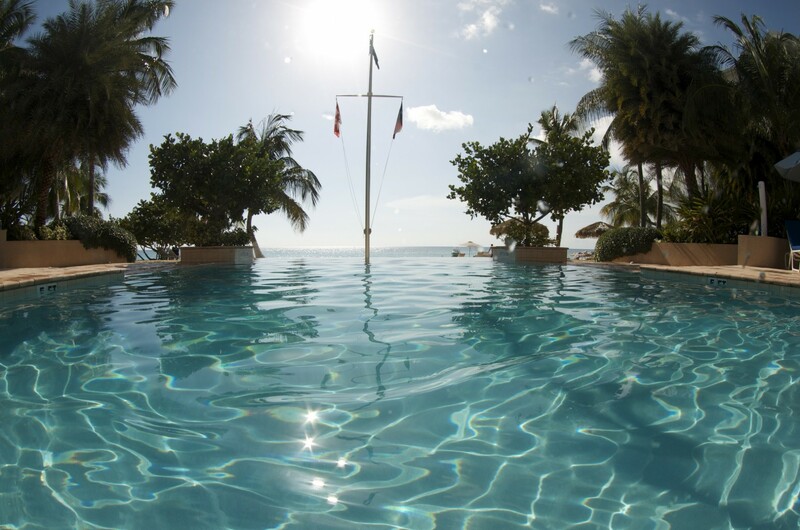 Enjoy the beautiful view of the Famous Seven Mile Beach, while swimming in our beachfront pool with its luxurious waterfall. 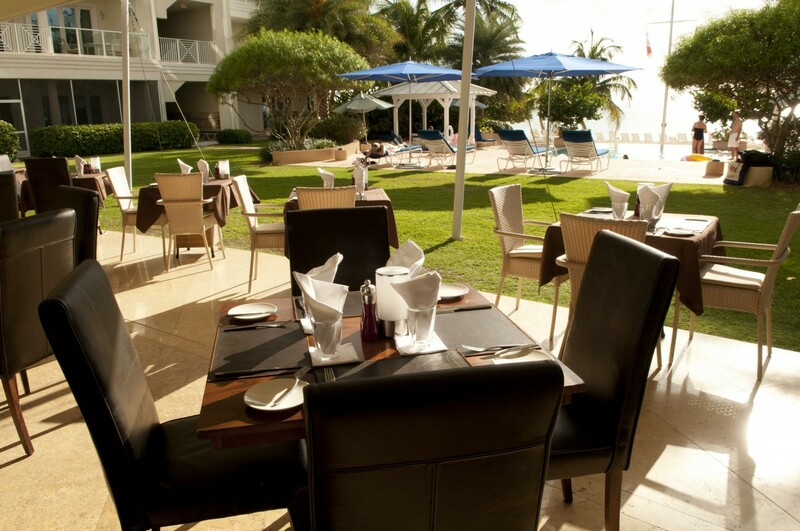 The Caribbean Club is located directly on Seven Mile Beach in Grand Cayman. 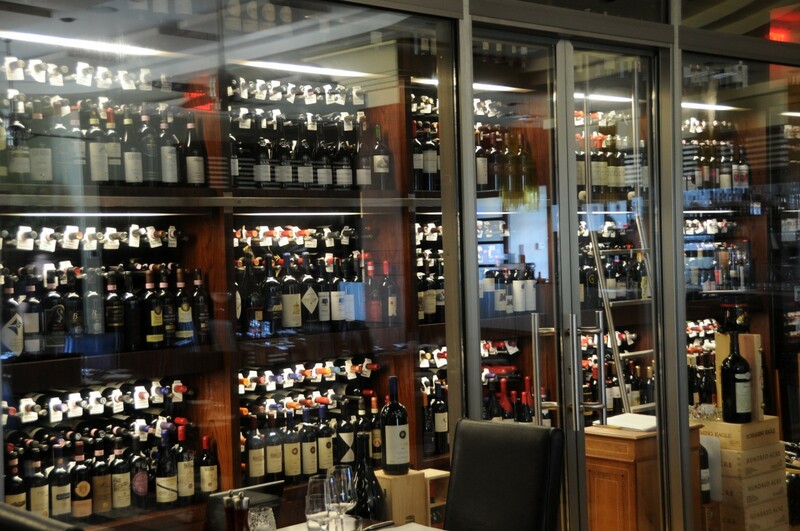 It is in a great location within a short walk to a large grocery store and many restaurants. 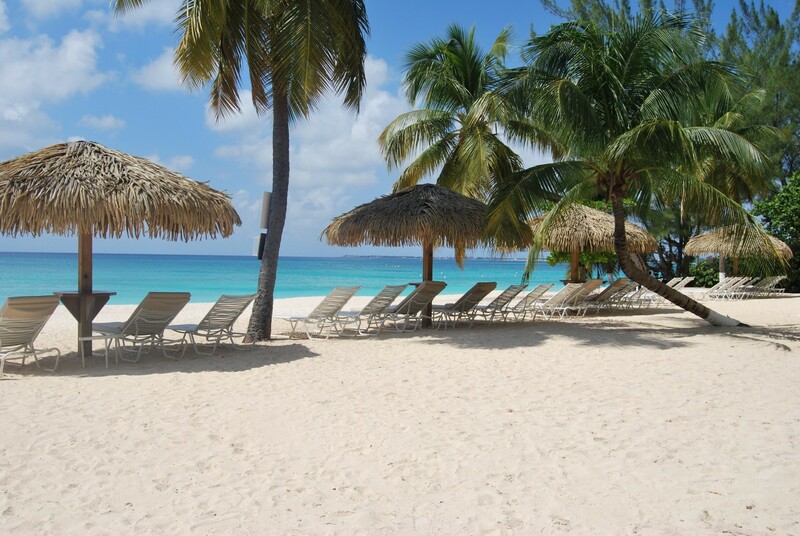 The most famous of all the beaches in the Cayman Islands is 7 mile beach. The beach offers 7 miles of the purest and softest white sand with the wonderful calm azure sea beyond. 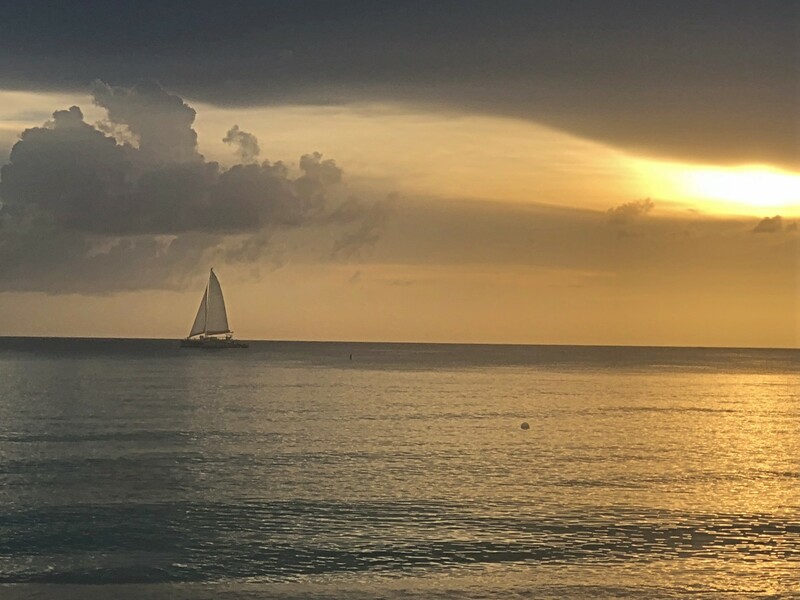 Seven Mile Beach offers visitors an abundance of water sports activities from para-sailing to jet-skiing. 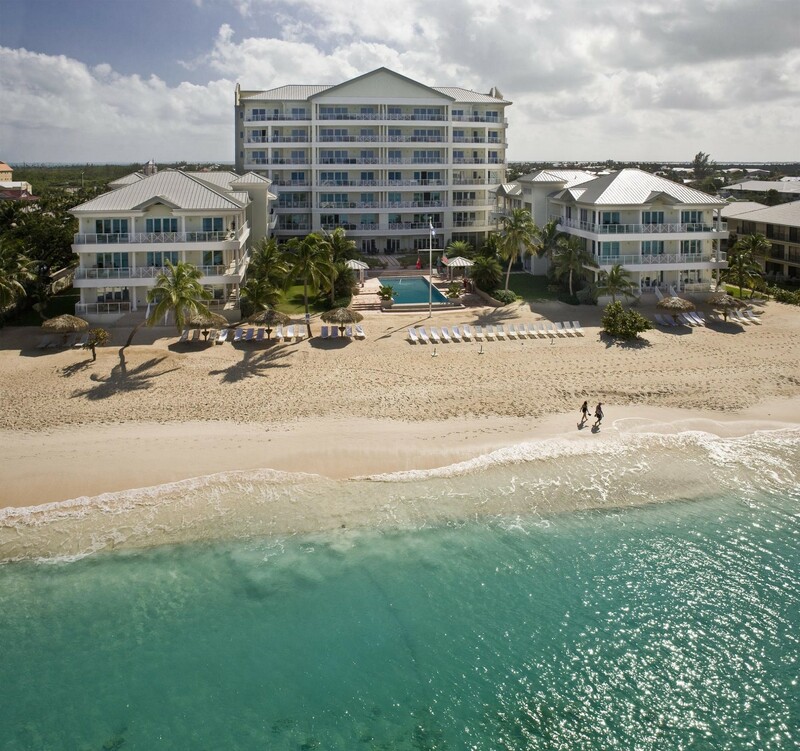 Along the beach you will find some of the best resorts in the Caribbean as well as a wonderful selection of restaurants and beach bars. Our last day at the beach and we’re already planning our return trip for next March. We absolutely love it here! Hi Niamh, We had a fantastic time. We absolutely loved the Caribbean Club. It was truly perfect and exactly what we were looking for. It felt like a house but with the amenities of a hotel. Luca was delicious, the weather was amazing and the staff at the hotel was great. Thanks again for your help planning everything.